Let's be honest...when you work from home, you kind of get used to being comfortable. Most days, if you come by my house during working hours, you'll find me in a pair of black stretch pants and a sweatshirt. Not so glamorous, I know, but that's just the kind of creature I am. The one thing missing from this stunning ensemble, however, are some casual house shoes. During my breaks, I'm often running two floors down to the basement to do laundry, letting the dog out in the backyard, or any number of things that make my feet go pitter-patter around the house. 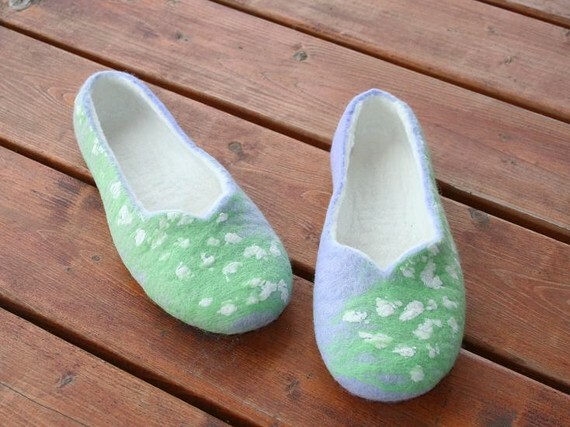 And I would just love to have some casual "shoes" to slip on in the morning and not want to take off all day because, despite all that activity (and my husband can attest to this), my feet are always cold. Call it bad circulation or poor genes, but they are. Enter Kadabros, located in Lithuania. 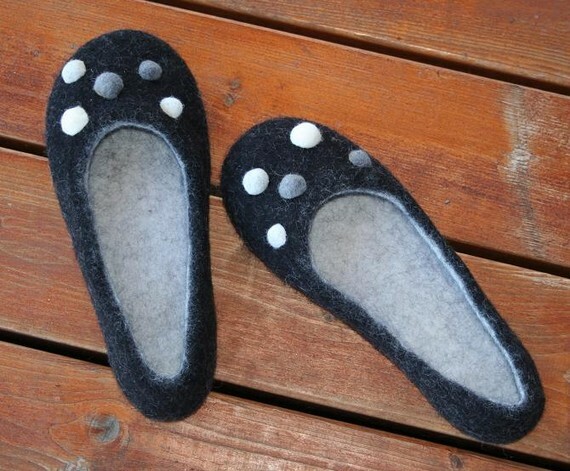 I've had her eco-friendly felted footwear in my saved links folder for some time. 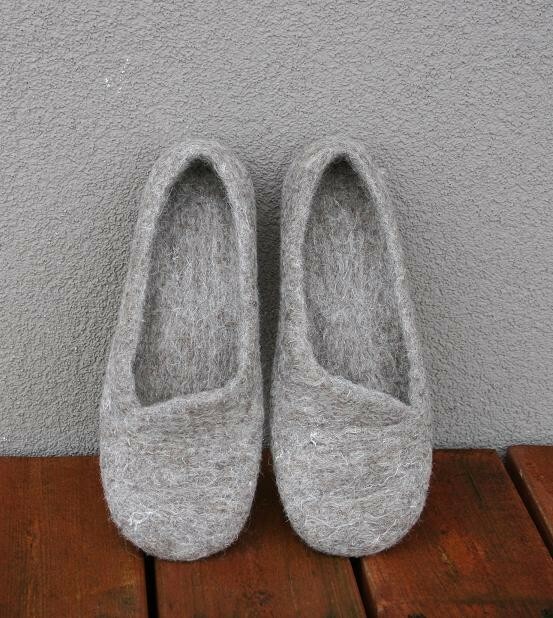 I love how simple and sustainable they are, and that each pair is handmade to order using only water, soap and natural wool. 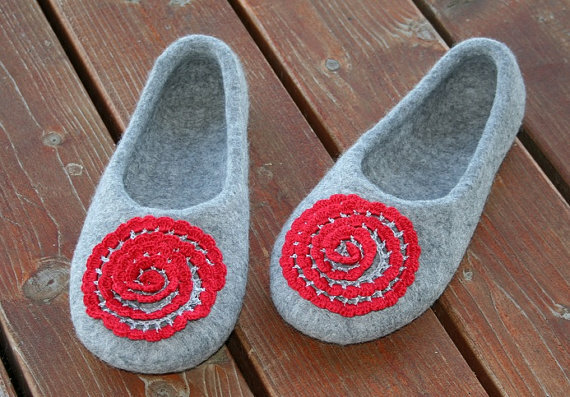 I think my favorite are the simple gray ones, but the ones with the rounded toes and the circle swirl are kinda cute, too. How about you? Which ones are your fav? mine are the simple gray ones too! have been working from home a lot -- may have to buy! I come here to say - Tank you!